Pepkor is going to keep on coming, and we’re going to keep on standing our ground. Steinhoff-controlled Pepkor has failed in its attempt to restrain five of Mr Tekkie’s senior executives – including Tekkie Town founder Braam van Huyssteen - from any involvement in retail. Steinhoff, through Pepkor, came to the court wanting to bully a group of individuals into submission. They failed comprehensively. 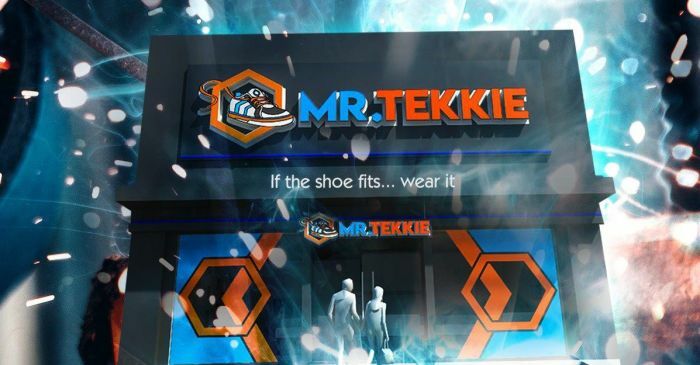 Three Mr Tekkie stores started trading in October, and the plan is to open an additional 12 stores later this month. The Money Show’s Bruce Whitfield interviewed Mr Tekkie cofounder Bernard Mostert. Mostert, along with Van Huyssteen and others, founded Mr Tekkie after the loss of their interest in Tekkie Town due to the collapse of Steinhoff. Today is a very, very good day for us. The Money Show’s Bruce Whitfield interviews Bernard Mostert, former CEO of Tekkie Town and one of the co-founders of Mr Tekkie. Bruce Whitfield interviewed Steinhoff Africa Retail Chair Jayendra Naidoo, as the fight for the soul of Tekkie Town escalates. The Money Show’s Bruce Whitfield interviews Bernard Mostert, the outgoing CEO at Tekkie Town. The Money Show’s Bruce Whitfield interviews Jayendra Naidoo, Chairperson at Steinhoff Africa Retail. Markus Jooste was his “friend” and business partner. The Money Show’s Bruce Whitfield interviews Van Huyssteen.